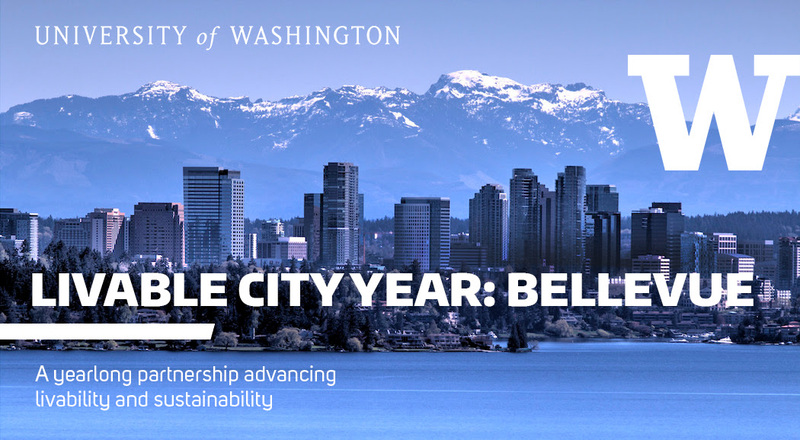 Monday, June 3, 6-8 p.m.
Join us in celebrating the 2018-2019 Livable City Year partnership between the University of Washington and the city of Bellevue! Students, faculty, city leadership, staff and community members are welcome to attend. 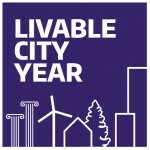 This event will showcase project done by UW students around livability in Bellevue this year. Learn about the work done and the benefits of these projects for the community. Snacks will be provided. 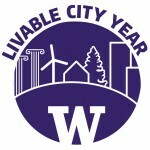 We encourage attendees from the UW to take transit. King County Metro bus route 271 and others run directly betweent eh UW campus and Bellevue City Hall.